I am not usually a big fan of “craftivism” and see it mostly as an inefficient use of time and resources. Rather than spend time and money to knit a sweater to send to refugees halfway across the world, for example, I think it’s far more helpful to send money to charity and activist groups (such as Doctors without Borders) that are already on the ground in those areas and doing something there. But the Pussyhat Project appealed to me because of its ability to send a clear statement about the importance of justice and equality for all. Because of an all-day (and unmovable) commitment on our calendar, my family wasn’t able to participate in the Women’s March on Washington last week. So I sent these hats with friends marched for themselves and on behalf of people (like me) who wanted to be there but can’t. When people marched in Washington, DC, and other cities (and countries! and continents!) on January 21, the world took notice. (Even Trump, I’m sure—though he’s still trying to convince everyone that his inauguration crowds were way, way bigger.) Nearly every photo and video of that day’s events featured a sea of pink hats. It was amazing to see this sign of solidarity. What next? I hope that the many lawmakers and media who have been tepid in their rejection of Trump’s message of misogyny, racism, and hatred will finally find the courage to call out his lies and bullying and stand up for what’s right. And I hope that these pink hats (and all of the other resistance modes at play last weekend) inspire everyone to realize that the world is a better place when we work together to benefit us all. 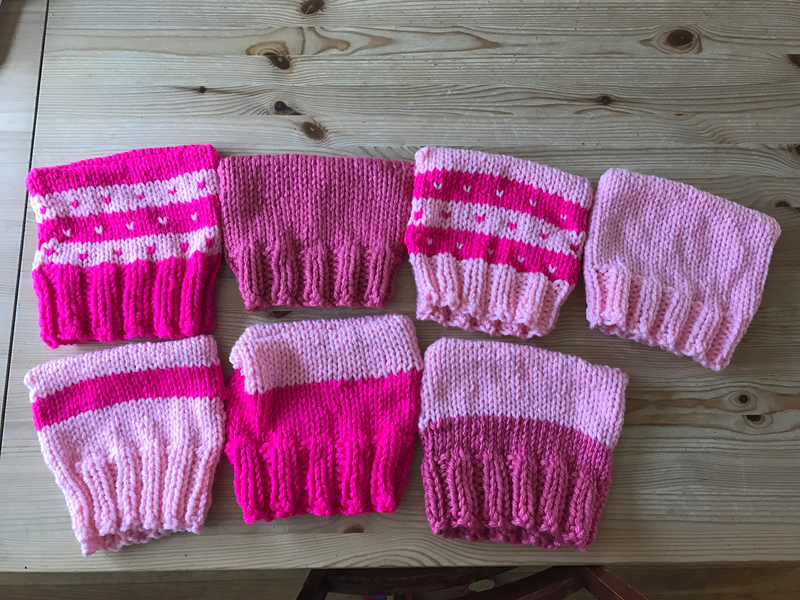 And because I’m certain there will be plenty of future opportunities to demonstrate against the current administration and its policies, I plan to keep knitting pink hats. Yes, I do believe that falls in the “too large” category! What happened? 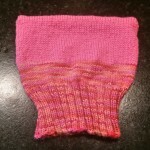 I had very carefully knit and measured a gauge swatch and ended up at 3.5 stitches per inch. When I dug out my ruler this morning, though, I found that the actual sweater was coming in at 3 stitches per inch. And no, it wasn’t a matter of knitting flat vs. knitting in the round. 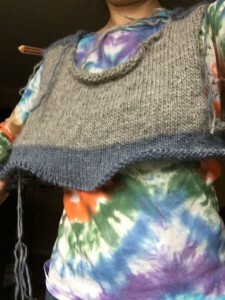 I had knit the swatch flat, but the first section of this sweater (the gray part) was knit flat and only when I switched to the blue yarn did I start knitting in the round. When I measured this morning, both of those sections came in at 3 stitches per inch. 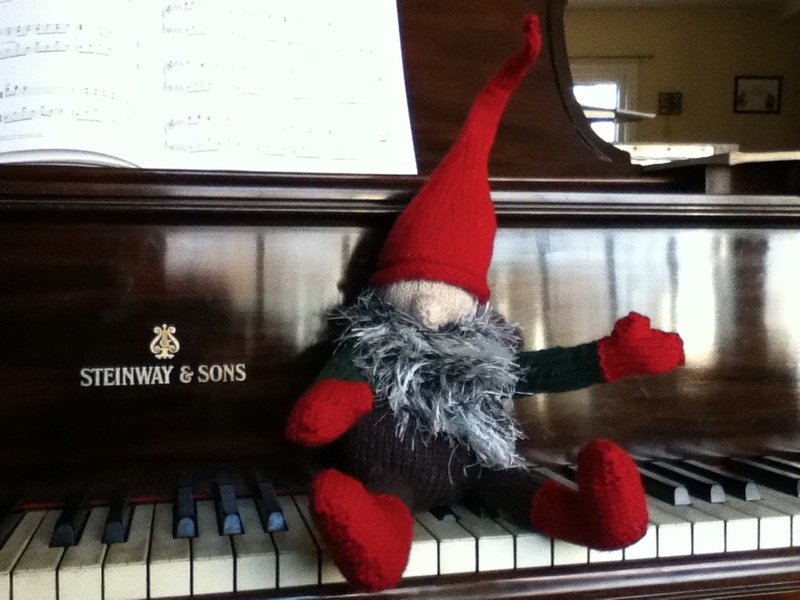 And my sweater was sized to fit someone with a 44″ chest! I am pretty sure I’m cursed when it comes to gauge. 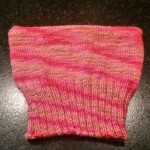 Whatever number I get on my gauge swatch ends up being different from the number I get on the actual knitting. This happens almost every single time. I think rulers and measuring tapes are all conspiring to gaslight me. I have ripped out the whole thing and will start it anew tonight, this time following Ann Budd’s numbers for the 38″ sweater at the 3-stitches-per-inch gauge. I’m actually not feeling too discouraged about this. 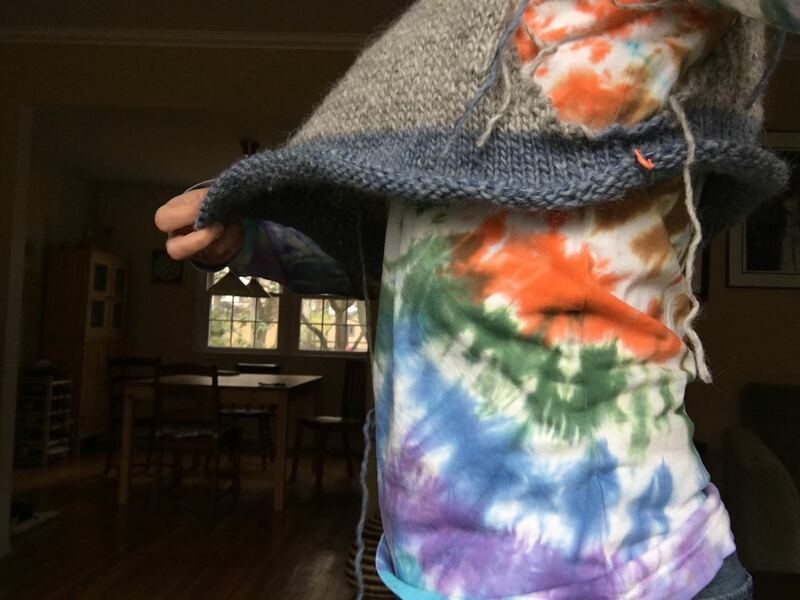 Bulky yarn knits up fast, and I really want to be sure I’m 100% pleased with the final result. So it pays to take the time to do it right! 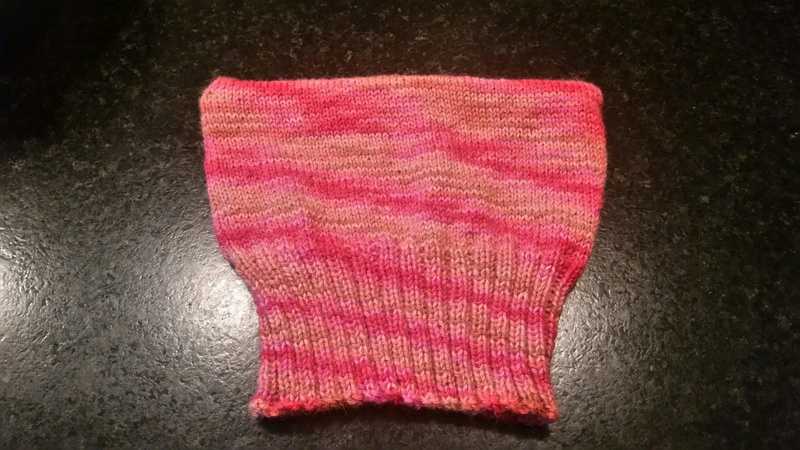 When you’re in the mood to make a hat and don’t want to bother with figuring out gauge or fussing about yarn, you can make an any-gauge beret or an any-gauge earflap hat with any yarn you have on hand (and without having to do any math in advance). Just start at the top, knit each section until it’s the size you want, then keep going. Hey, hey, it’s Mike Nesmith’s hat from The Monkees! Finally, here’s a lovely hat with cabled owls all around it. 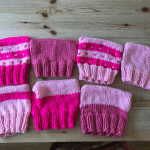 I originally started this blog as a place to talk about knitting. My very first post (from September 2005!) was about knitting for Sylvia, so it seems right to return to that topic. 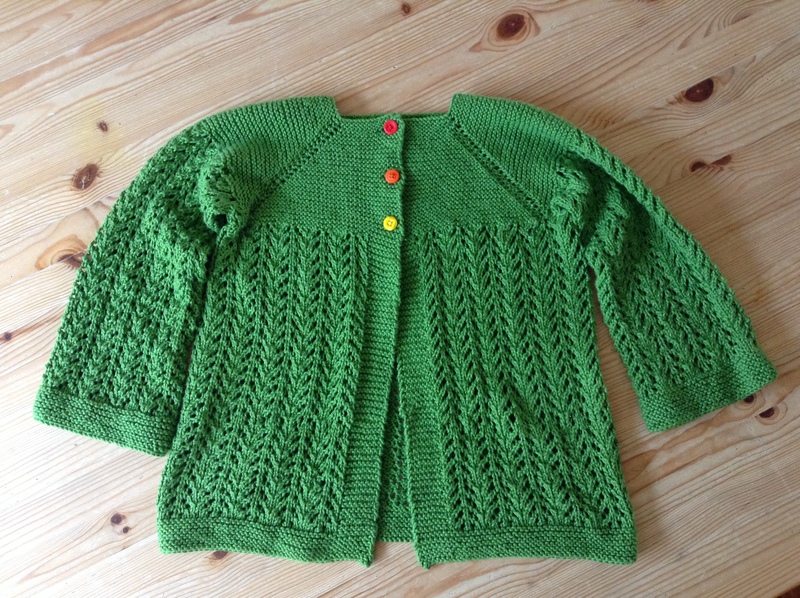 I knit a February Lady Sweater for myself three years ago, and at the time I mentioned that one for Sylvia was next on my to-knit list. I didn’t have appropriate yarn on hand, though, and she wasn’t clamoring for the sweater, so I put it on the back burner until last fall. Sylvia and I chose yarn together: she’s not a fan of wool, so we settled on KnitPicks Shine Sport in a bright green. 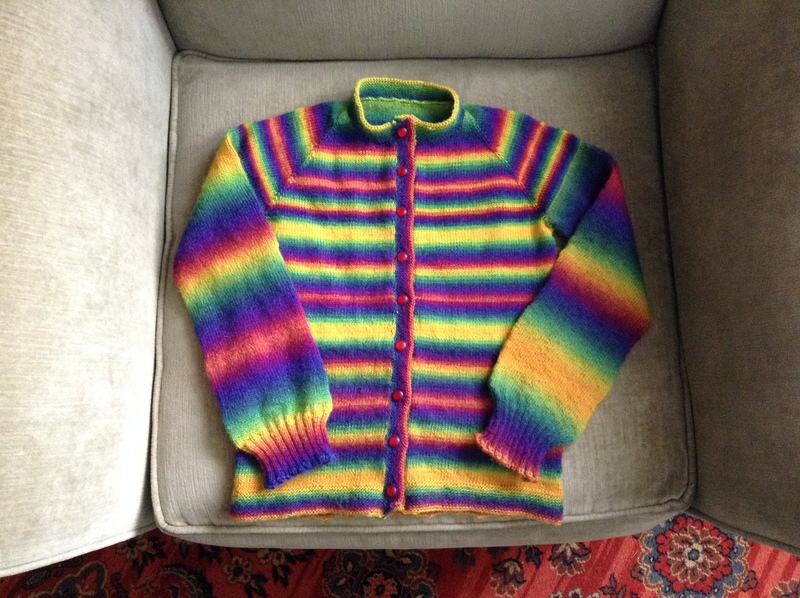 Before I could start that sweater, though, I had to finish the “rainbow cardigan” I started for her last August. 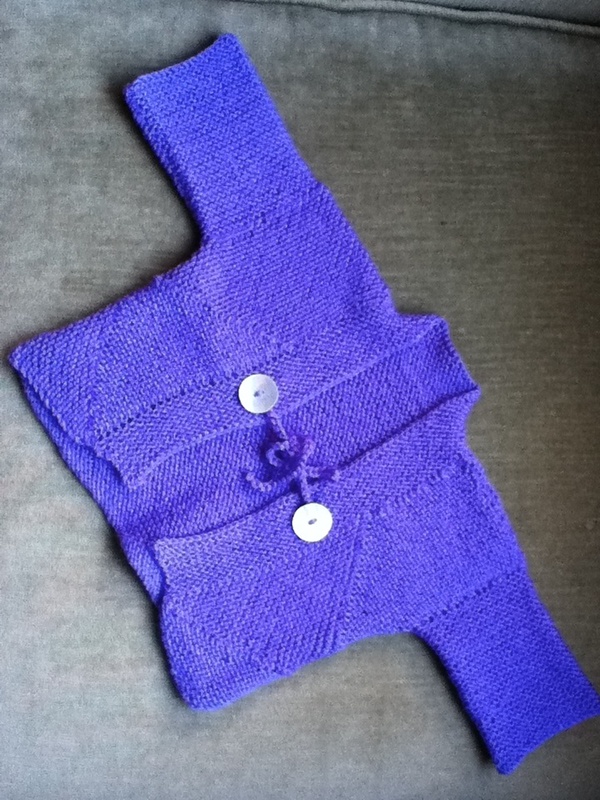 I based this pattern on the top-down raglan in Ann Budd’s Knitter’s Handy Book of Top-Down Sweaters: Basic Designs in Multiple Sizes and Gauges. 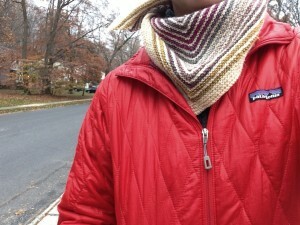 I love how this sweater turned out, though I am not a fan of the Mary Maxim sock yarn I used for it. (I’m pretty sure it’s the splittiest yarn I’ve ever encountered!) But Sylvia loves it, so dealing with annoying fiber was worth the effort. 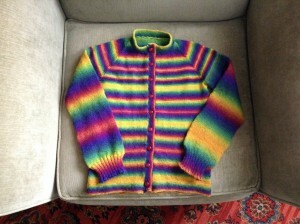 With the rainbow cardigan done, I was able to start her February Lady Sweater in January. 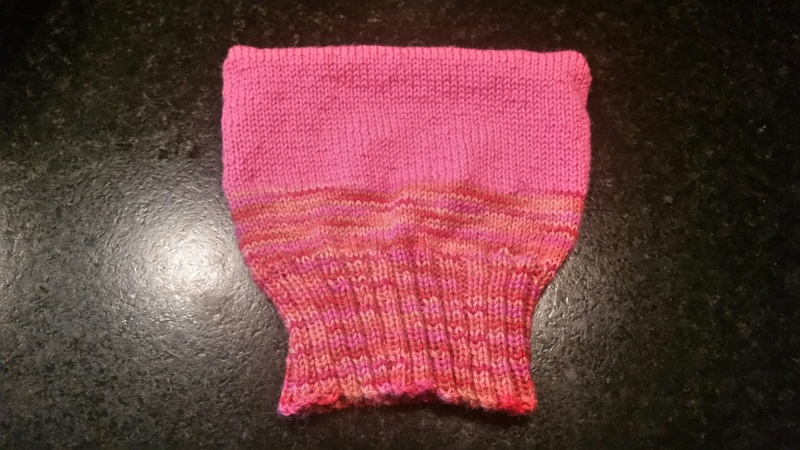 Basically, I just took the regular pattern and knit the second-smallest size in sportweight, keeping all the stitch numbers the same. 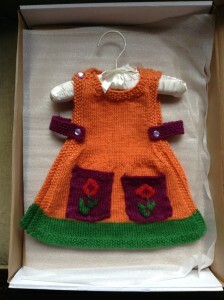 The result has plenty of growing room, so Sylvia should be able to wear it for a couple years (I hope!). The body came together in a breeze, but the sleeves took forever to finish. 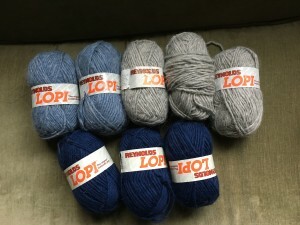 That’s because I had to use DPNs for them (my 9″ circular doesn’t have sharp enough tips for this yarn), so I spent a lot of time and effort on yarn and needle management. When I was finished, I raided my button box and laid out all the threesomes I had on hand. For fun, I also put out set with one red, one orange, and one yellow button. (They have slightly different textures, but they are the same diameter and all have four holes.) Of course Sylvia beelined for the colorful trio! They are definitely the best choice for this sweater!